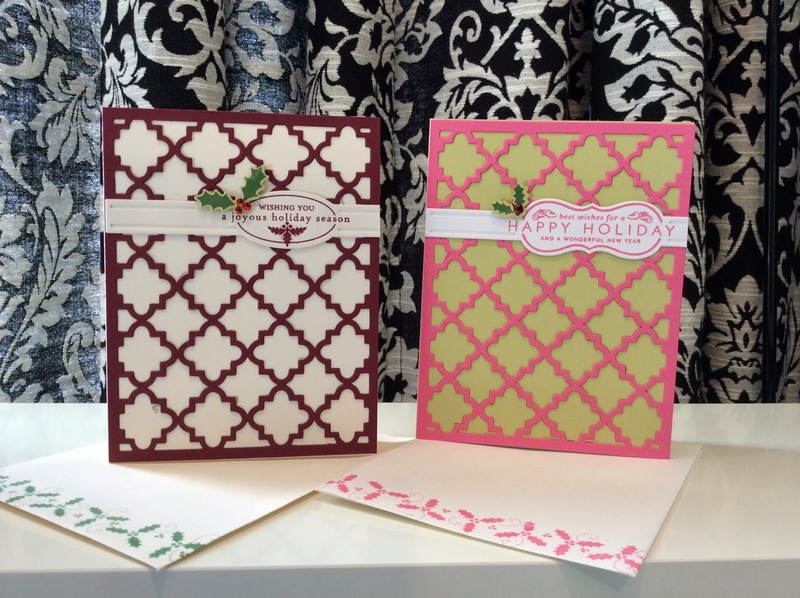 We began sending out our Christmas cards this week. It took me a while to finish them and I truly hope I've made enough. I created a few different versions of the same card in different colors. The front of the envelopes are also stamped, and I love the way they turned out. 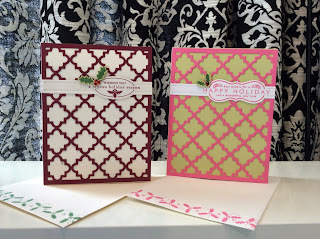 I used the Quatrefoil Die from Papertrey Ink on all of the cards. This bad boy gave my Cuttlebug a run for it's money...so much, that I went out and purchased a Vagabond machine to save the muscles in my arms. I just couldn't get the sandwich with the Cuttlebug to produce clean, crisp cuts with such an intricate die. Holy cow, the Vagabond is a powerhouse, it showed that die who was boss! I find myself die cutting much more now that I have it. To make it easier to access and use I have it plugged in all the time. Highly recommend. Today was snow clean up in our area. This is the third snow in one week. I had a fight with the snow thrower on Tuesday and it won, so I decided today was my day off from snow removal. 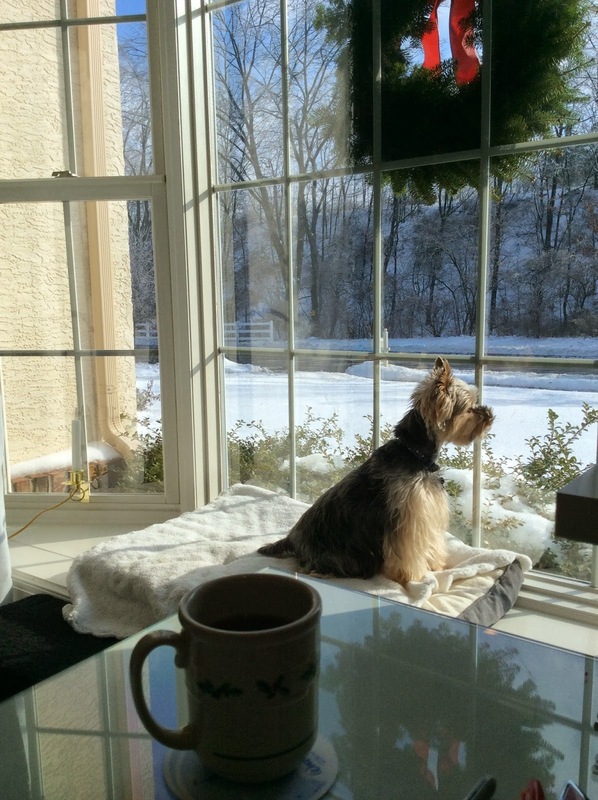 Here is the view this morning from my craft room, it's Piper watching my husband remove the snow from the sidewalks and driveway. Such a perfect spot for him to sit and watch!